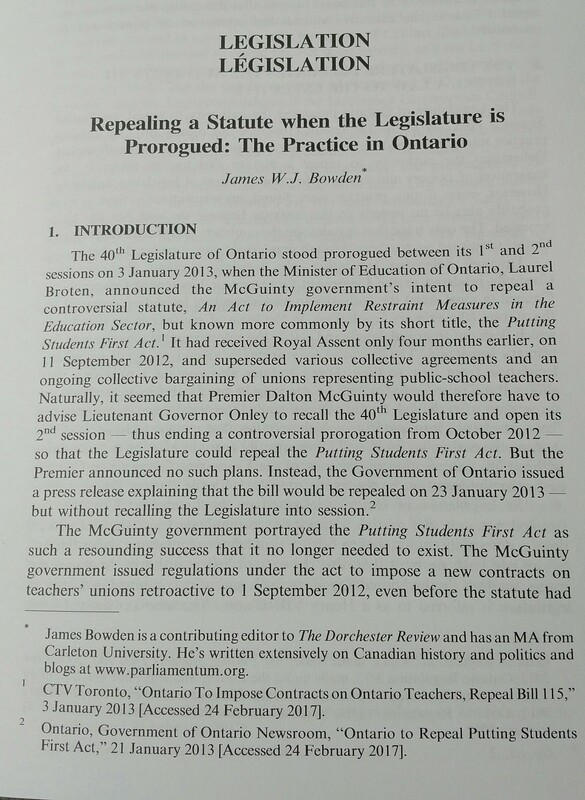 The Journal of Parliamentary and Political Law has just come out with its latest issue in which a short article of mine appears. Also, I’ll have to find out whether David Bowden and I are related. 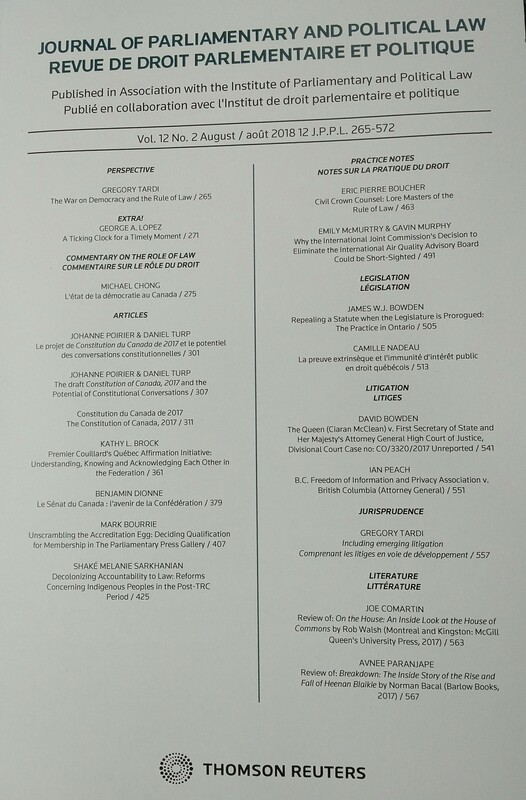 This entry was posted in Articles, Crown (Powers and Office), Prorogation, Separation of Powers. Bookmark the permalink.